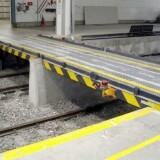 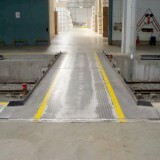 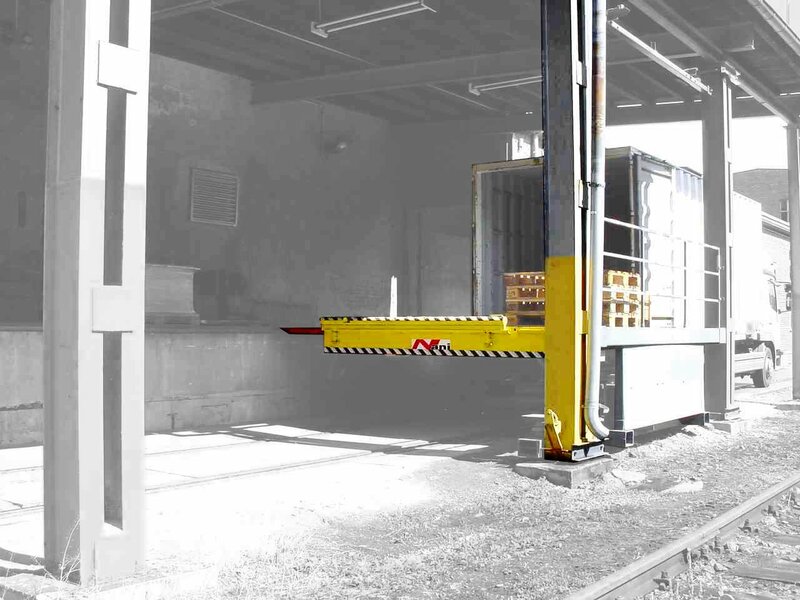 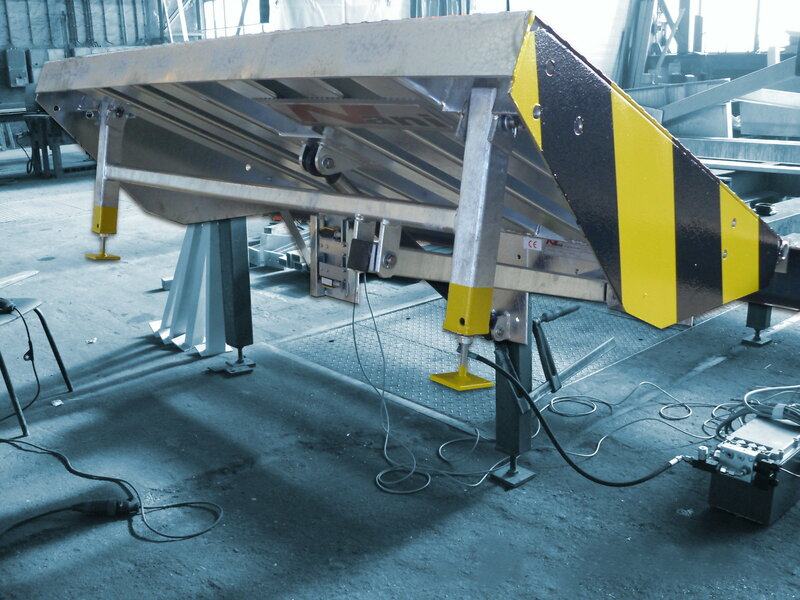 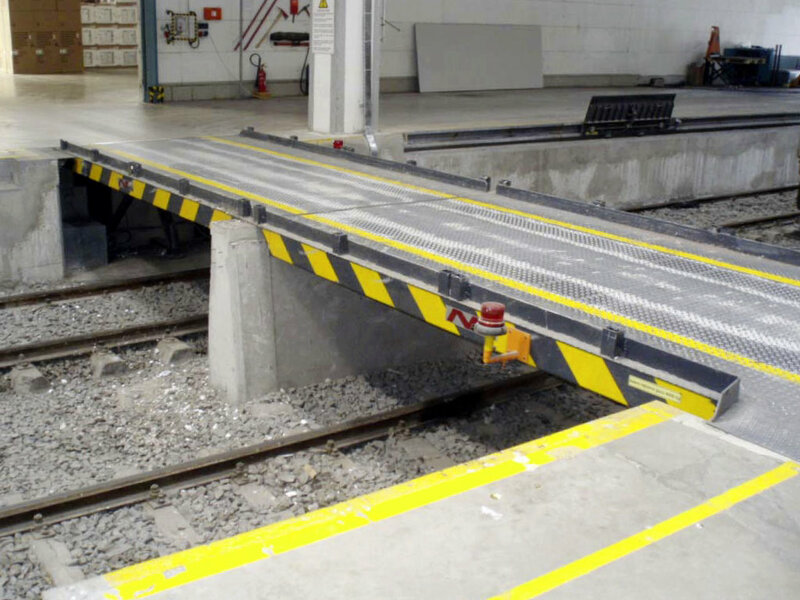 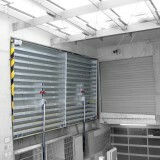 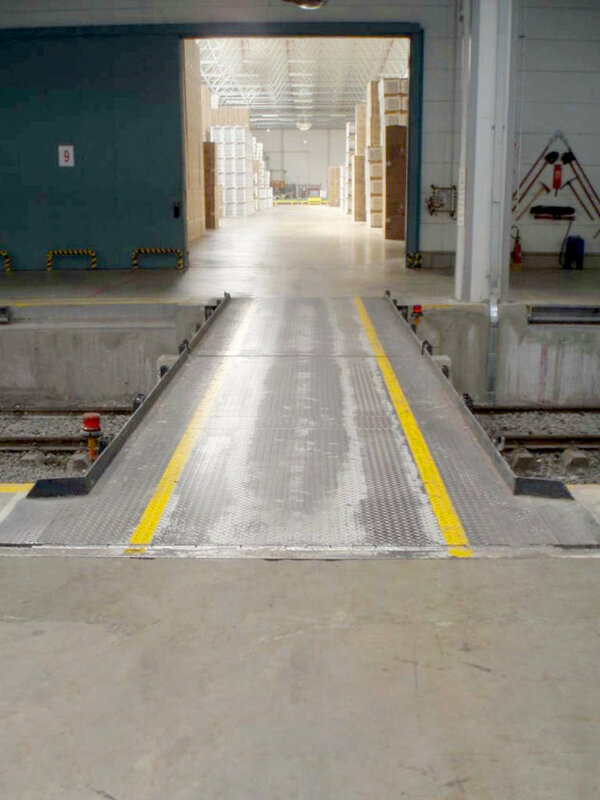 The swivelling hydraulic dock leveller can be delivered stationary or rollable to the sides. 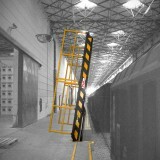 The leveller consits of a solid steel-construction. 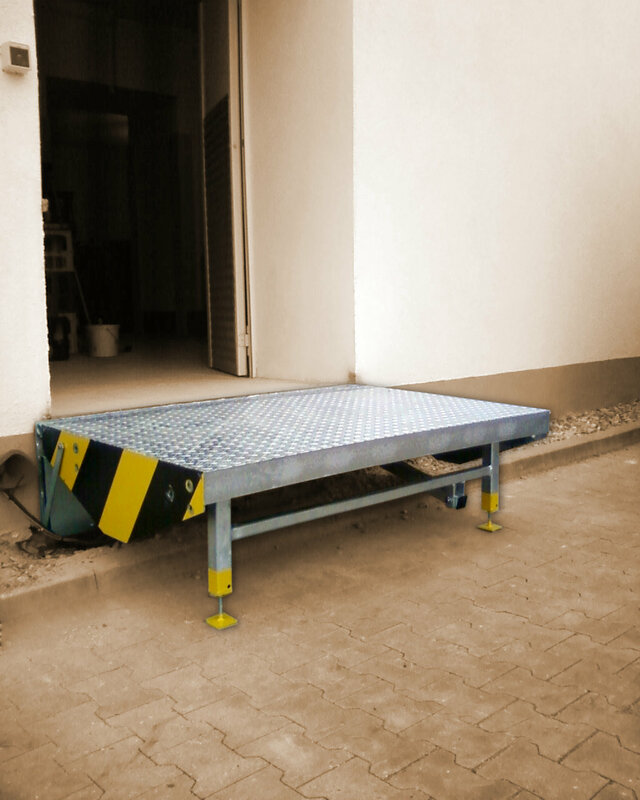 A powerful hydraulical system, put up under the plateau, is for moving up and down and makes the using via touch of a button easier and more comfortable. 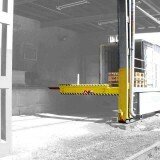 The dock leveller is moved down to the truck-loading-space or the opposite edge of the ramp. 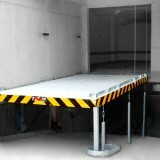 It is situated transitionless on now. 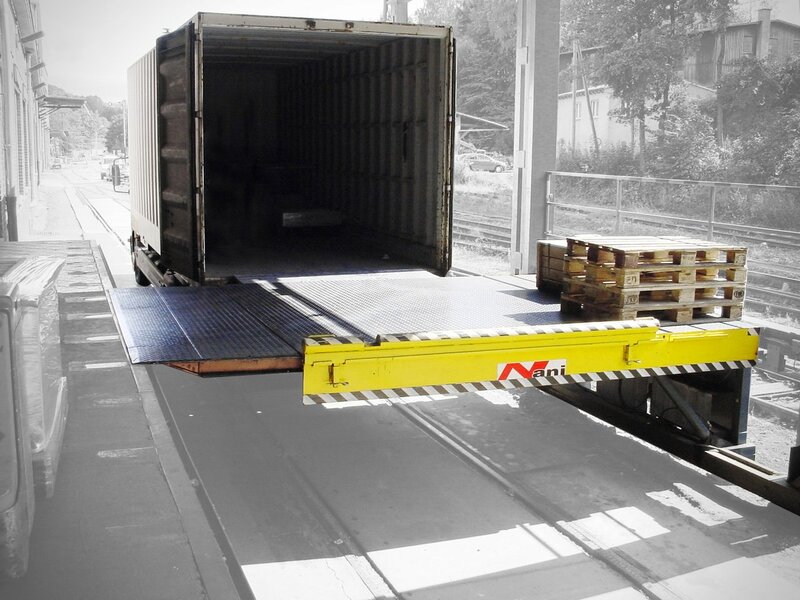 Because of the automatical ‘swimming-position’ the leveller goes up and down with the movements of the truck during the loading and unloading. 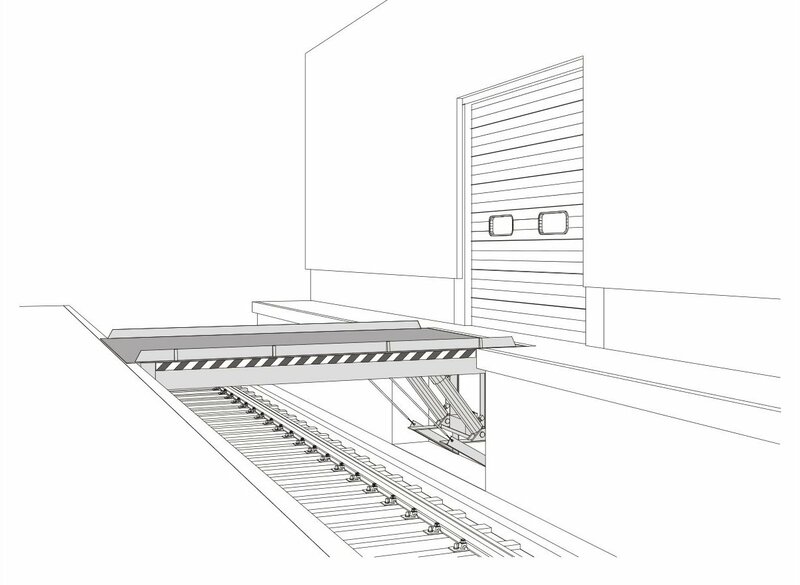 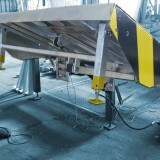 The rollable leveller is mounted at a special tracking profile at the front-edge of the leveller. 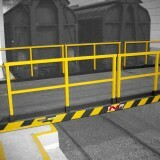 At the starting position stands the dock leveller locked on end of the ramp. 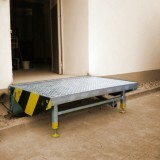 With an easy ‘foot-control’ you can release the lock. 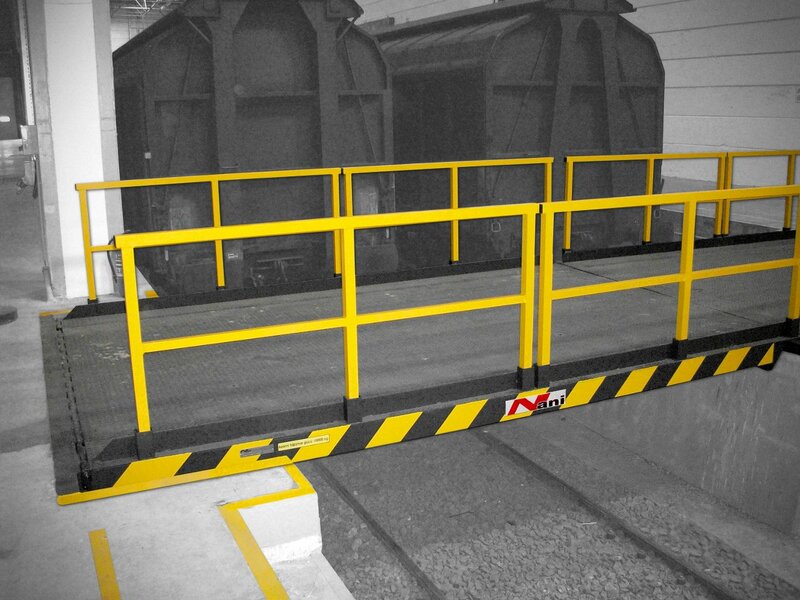 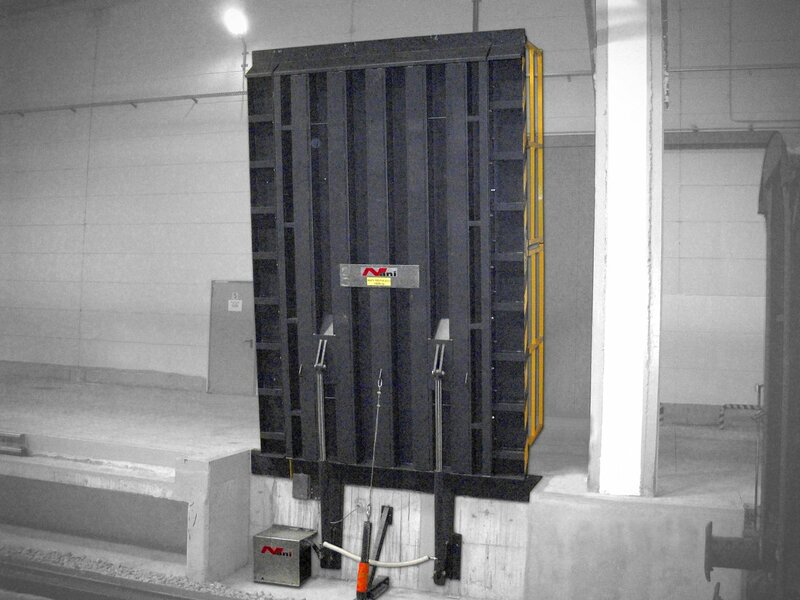 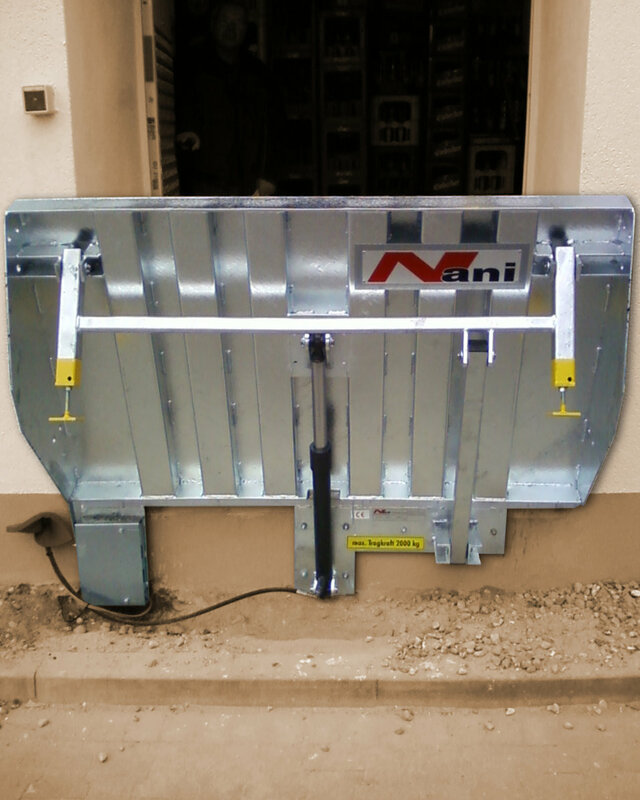 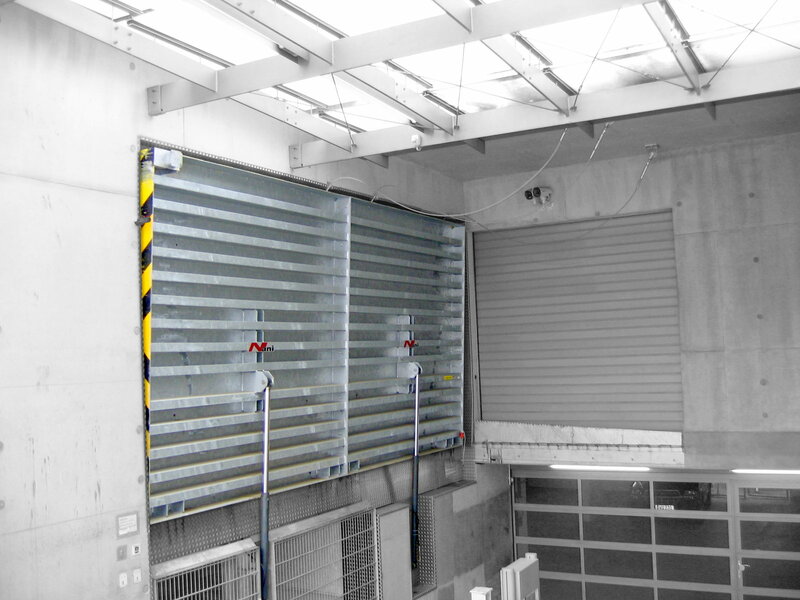 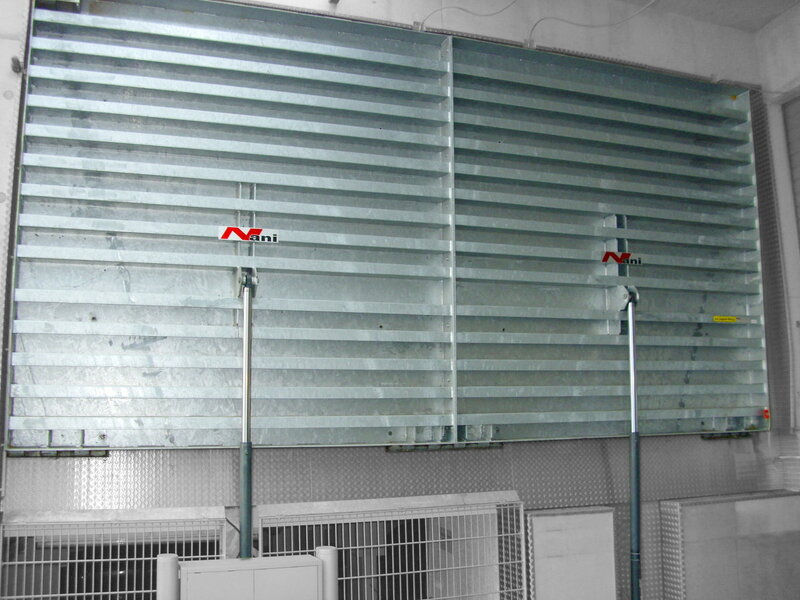 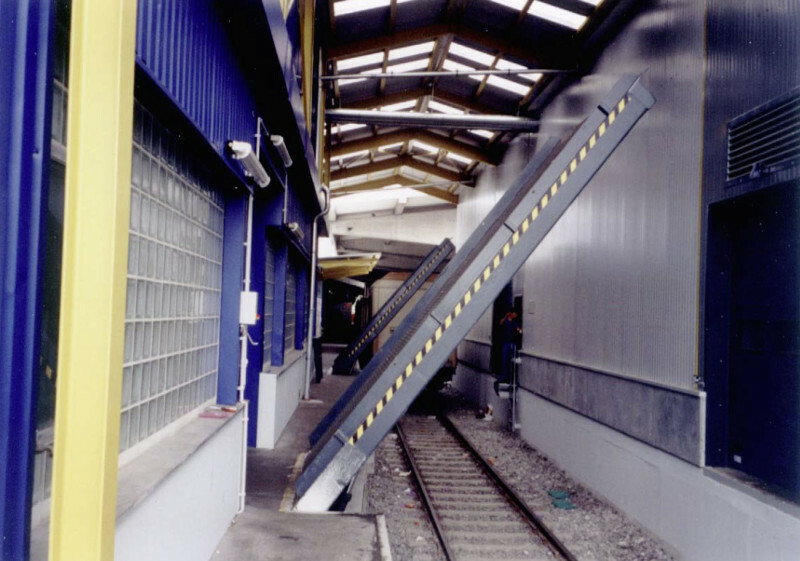 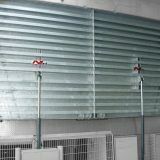 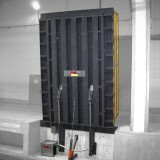 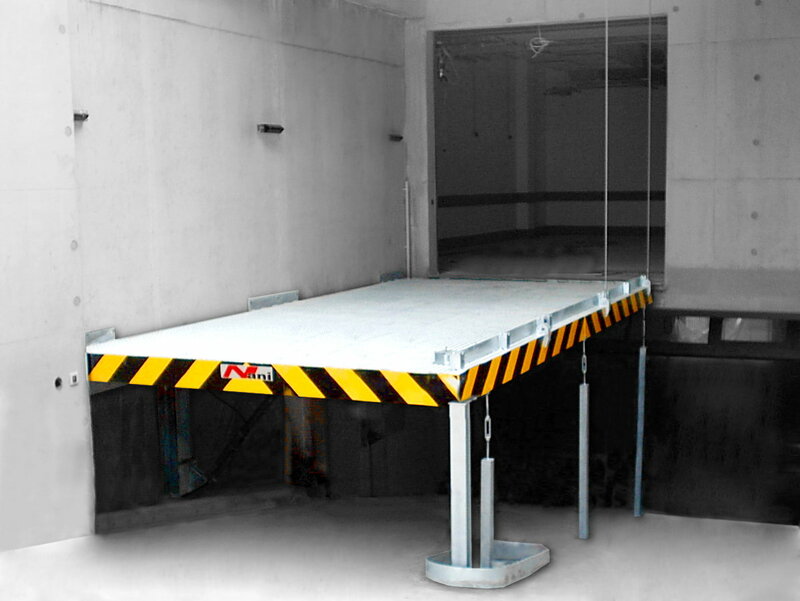 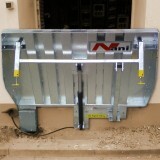 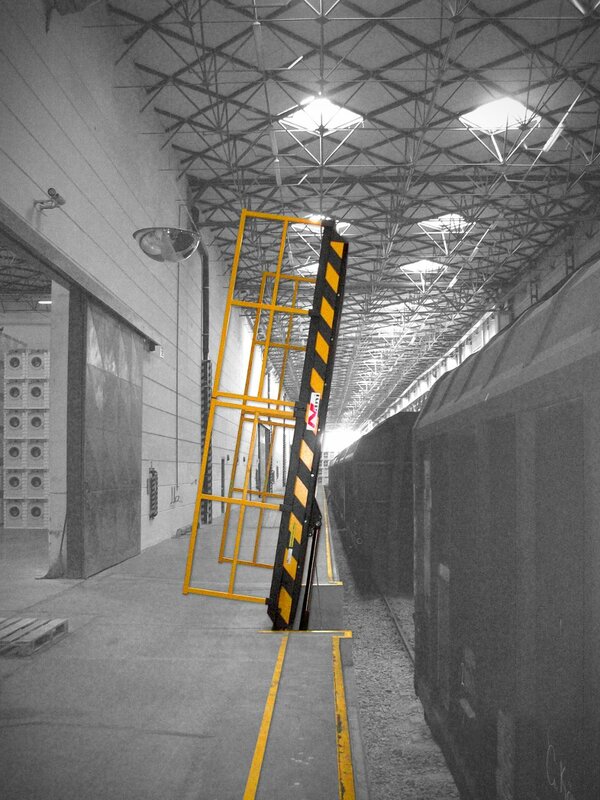 This dockleveller is constructed to comply with regulations for loading bridges and mobil ramps ZH 1/156 and Euro-Norm EN 1398.